Situated on the coast of the Pacific Ocean, immediately adjacent to the border with Mexico, San Diego is the oldest town in California, having been founded in 1769. Well known as a popular tourist destination due to its year-round sunshine, warm climate and close proximity to the many attractions and activities, San Diego is also a fantastic place to live and work with a diverse job market, strong communities and more amenities than you can shake a stick at! If you are considering buying a property in San Diego, you certainly aren’t alone. 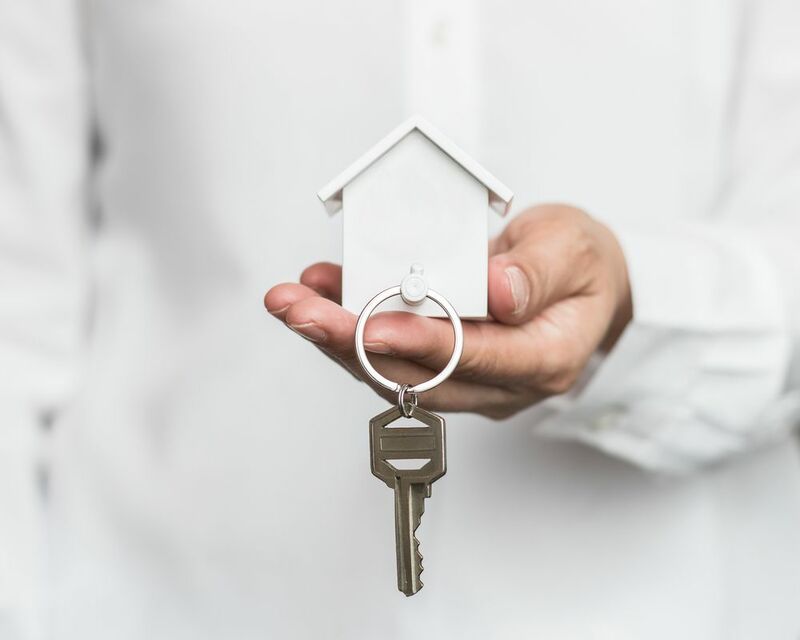 But with property being one of the biggest investments of your life, you will certainly want to ensure that you choose the right property in the right area. To help you to make the best choices possible, here are our top tips when looking to buy a house in San Diego. If you are using a mortgage to finance your property, then one of the best things you can do is to get pre-qualified. Demand for property in San Diego can be high and desirable properties can sell extremely quickly. If you want your offer to be taken seriously, you should have a pre-qualification letter from your lender, so the seller’s realtor knows you are in a strong buying position. The California Residential Purchase Agreement requires the buyer to provide a Conditional Loan Approval from the lender based on a loan application and Tri-merge Credit Report within 7 days of the Seller’s Acceptance (unless specified differently in the purchase agreement). However, rather than choose a realtor blindly, check out their reviews online and ask around for recommendations. Then meet them in person before signing anything. No-one wants a realtor who looks good on paper, but has a poor communication style, or who you simply don’t feel at ease with. San Diego is a diverse city with many different neighborhoods, cultures, ‘looks’ and amenities. Again, this is where our realtor becomes worth his or her weight in gold, as they will have first-hand knowledge of the areas you are considering and will be able to determine which are the best fits for your needs. You should be completely honest in voicing your list of priorities to our realtor. Divide them into ‘dealbreakers’ and ‘negotiables’ so that your agent knows best what to focus on. For example, you may be determined to be in a specific school district, or within close proximity to a hospital because you have medical needs. When it comes to choosing a location, you should give our realtor as much information as possible as this will help you to find the right property in the right area, rather than waste time viewing homes that don’t meet your criteria. It is generally accepted that there are definitive peaks and troughs in the real estate market. As the winter months and holidays roll around, the market almost always tends to slow down as people are saving their cash for the expense of the season, and if they are relocating from colder climes, may be trying to avoid moving in bad weather. As a general rule, sellers are much more prepared to negotiate during the off-season, and you may find that you can avoid the competition and craziness of the spring market. If you are looking to relocate to San Diego, we would be delighted to answer your questions and help you find the perfect property. Please give our offices a call today and let’s get you one step closer to finding your dream San Diego home. Let Todd Armstrong share with you some tips in selling a home in Mission Hills. For more information, contact us at 858.229.8752. Let Armstrong & Associates help you find the right neighborhood for your family in San Diego, CA. Call 858.229.8752 for details. If you are considering to buy a property in San Diego, here are top tips to consider by Armstrong & Associates. Contact us at 858.229.8752 for details. Keeping abreast of the latest developments is essential if you are to ensure that your property purchase is a wise investment. Know about the real estate trends in San Diego in 2018. See the beautiful up and coming neighborhoods in San Diego with realtor Todd Armstrong. Contact us at 858.229.8752 for further details. If you are thinking of selling your home, it is essential for you to know it’s market value so that you can decide how much you should be selling for. Contact Todd Armstrong at 858.229.8752 for details. Are you looking for a home in San Diego? Be informed of the tips and facts about relocating to San Diego by Realtor Todd Armstrong. Know about the Top neighborhoods to buy a house in San Diego by Armstrong & Associates under Pacific Sotheby's International Realty. Read more about the tips and the information you deserve to know about how to sell real estate. Contact 858.229.8752 to know more. Buying a luxury home can be a tall task. Make sure you know what you are doing and are working with the right people. The rapid increase in use of solar panel technology has boomed the last few years. People have been trying to be more environmentally friendly while increasing their home's value. Buying a foreclosed home is not something to take lightly, but if done right it can save you a lot of money. Read about it here. Read what getting your house appraised means and the easiest route to getting it done! For more information call Todd Armstrong at . 3 Prong Ungrounded Outlets Show up on your buyer's Inspection? Modern Homes San Diego Facebook Page- All Things Modern! Just SOLD! My Mission Hills home and the longest short sale in history! Trying the same old tactics for selling your home can become redundant and won't help you sell your home any faster. Contact Todd Armstrong so he can help you with all of your real estate needs.